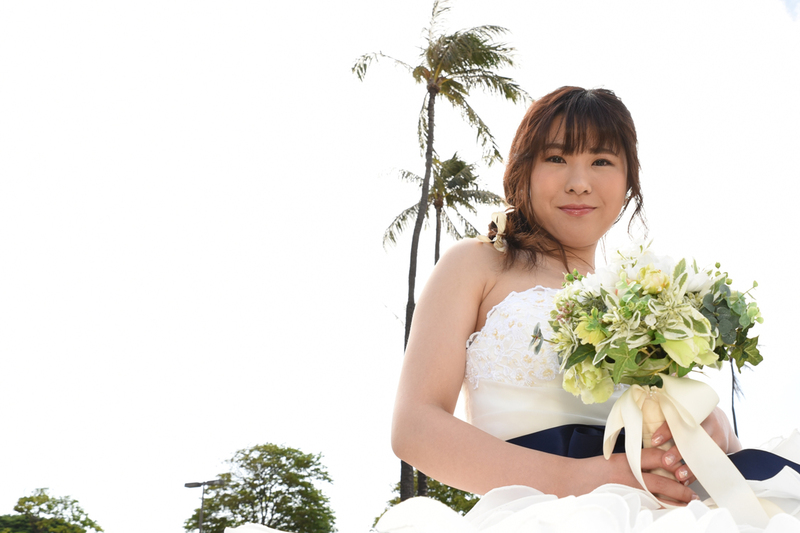 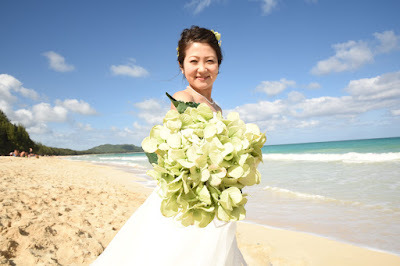 Great pic of Japanese Bride Hitomi at Kahala Beach with her stunning 3-color flower bouquet. 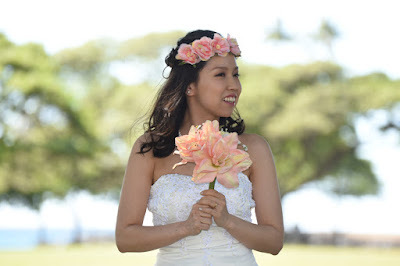 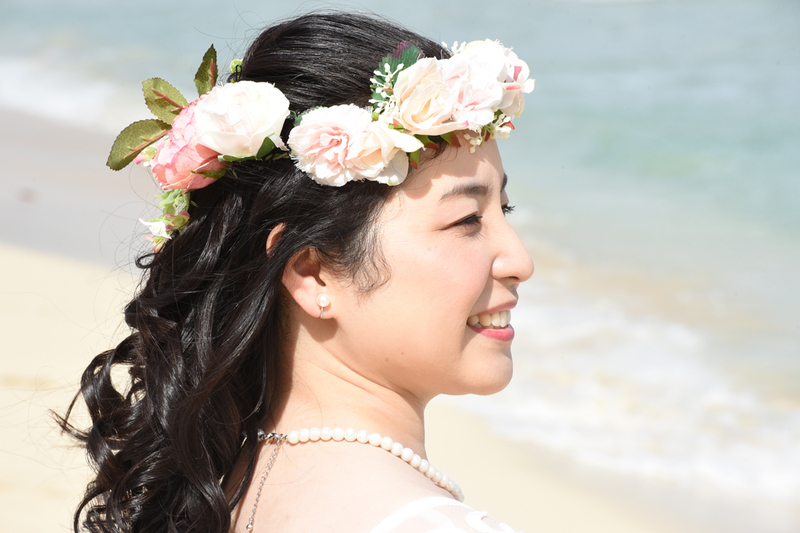 Beautiful Japanese Bride Mao at Magic Island with her apricot color silk-flower bouquet and matching haku lei. 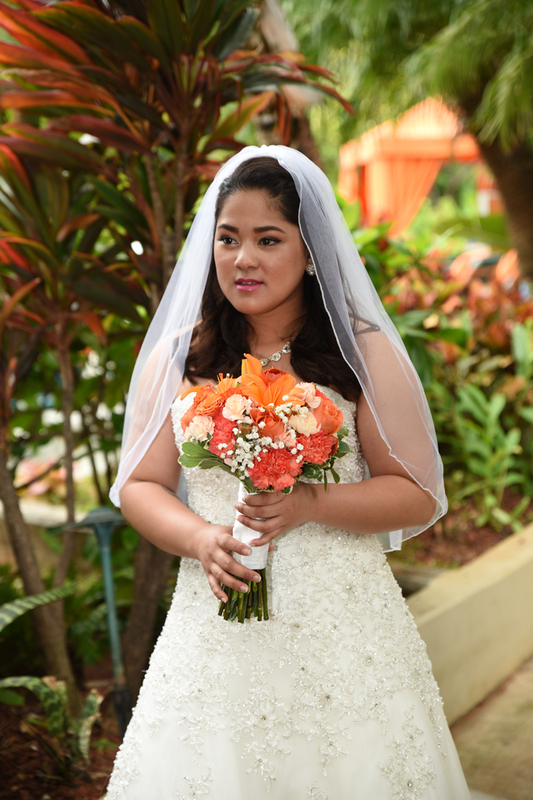 Something very special about this Bride. 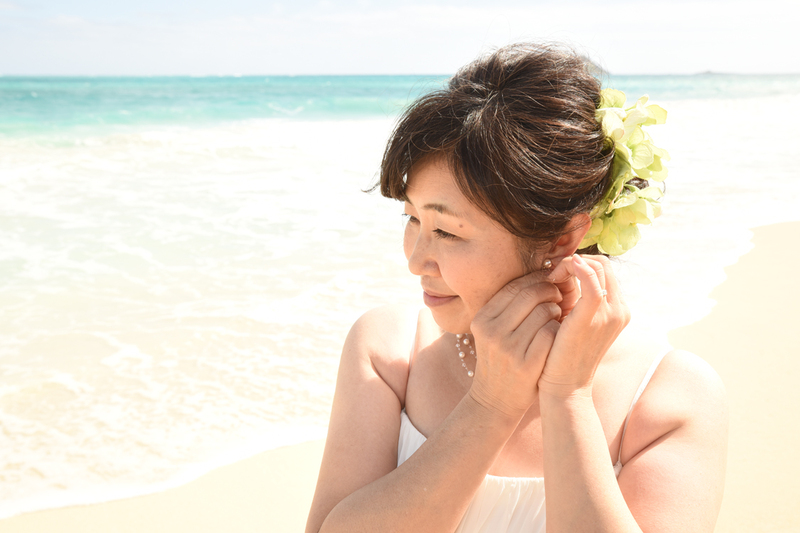 I have more great photos of Azusa set aside for our photo gallery than we have space for. Lovely wedding dress suits our slender Japanese Bride Mio just right. Love this beautiful tropical spot at Waimanalo Bay with Japanese Bride Yumiko. 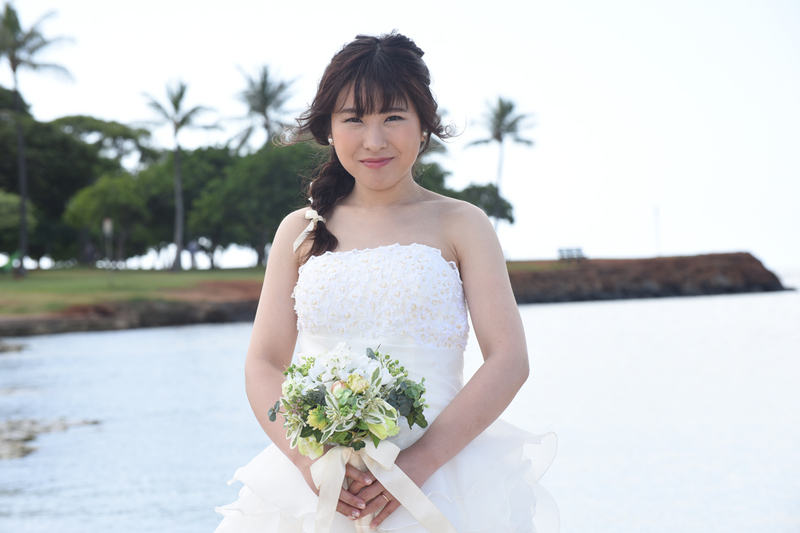 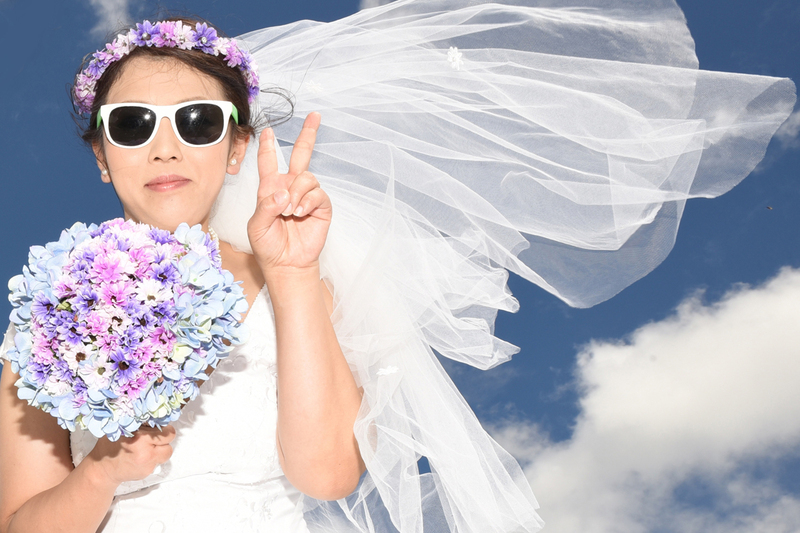 Cool shot of Japanese Bride Satomi at her Honolulu wedding location at Roundtop Park. 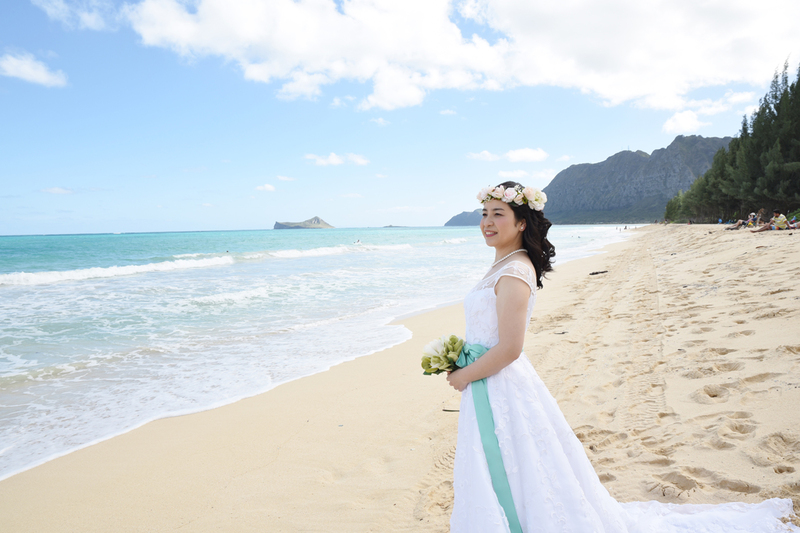 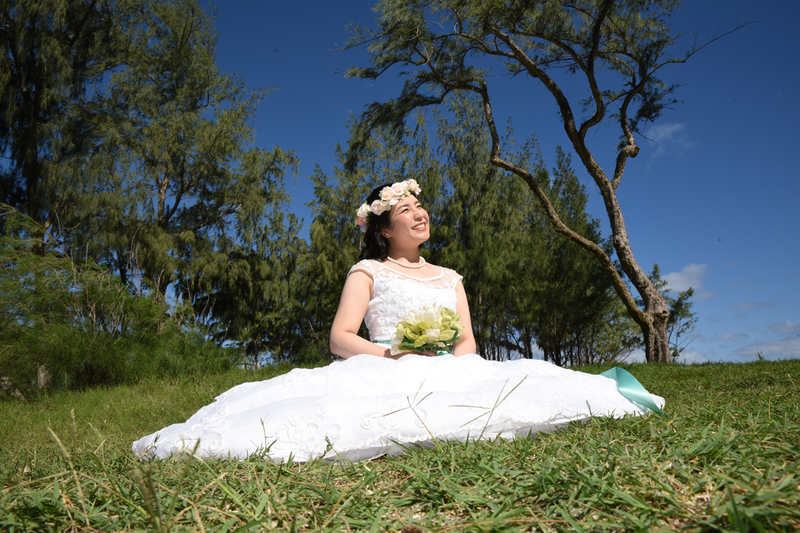 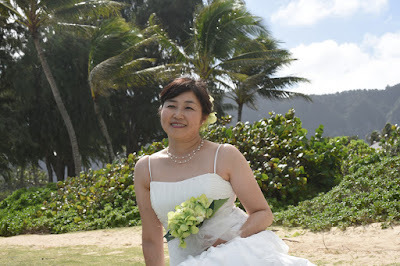 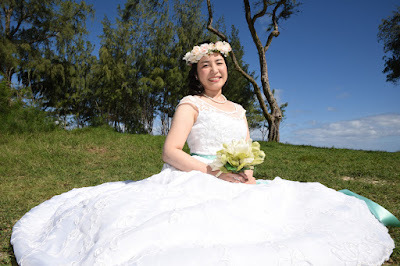 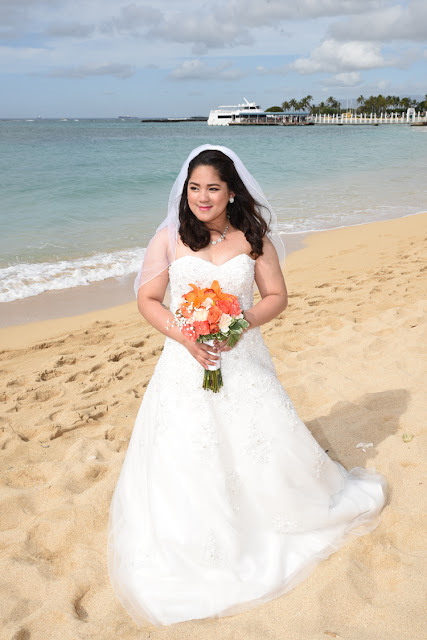 Beautiful photo of Japanese Bride Fumie at Waimanalo Bay. 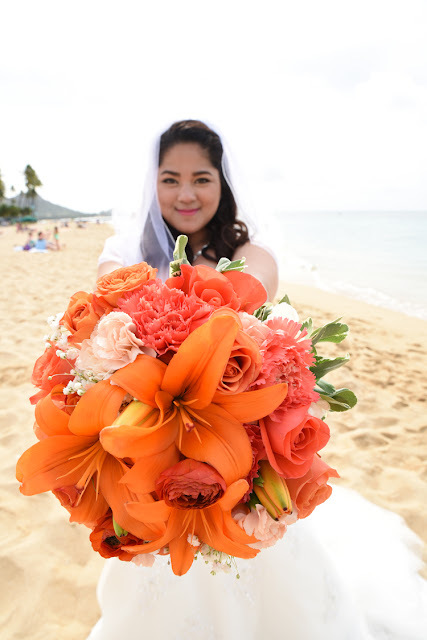 Cute pose holding her bouquet. 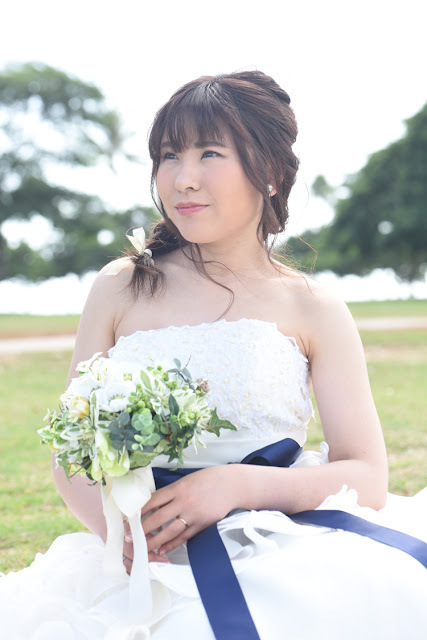 Stunning shot! 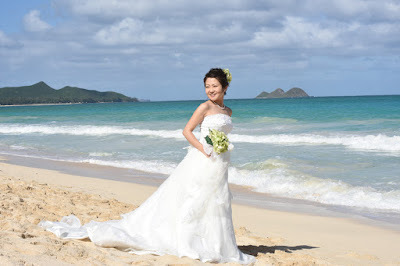 Sweet and gentle Japanese Bride Naho poses for photos at Waimanalo Bay.